The region is well known for its many artists and writers. The term 'Dumfries and Galloway' has been used since at latest the 19th century - by 1911 the three counties had a united Sheriffdom under that name. 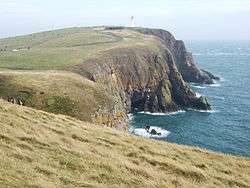 Dumfries and Galloway covers the majority of the Western area of the Southern Uplands, it also hosts Scotland's most Southerly point, at the Mull of Galloway in the west of the region. River Nith rises between Dalmellington and New Cumnock in Ayrshire and runs east then south down Nithsdale to Dumfries. Nithsdale carries both the A76 road and the rail line from Dumfries to Kilmarnock. It separates the Carsphairn and Scaur Hills from the Lowther Hills which lie east of the Nith. The A701 branches off the M74 at Beattock, goes through the town of Moffat, climbs to Annanhead above the Devil's Beef Tub (at the source of the River Annan) before passing the source of the River Tweed and carrying on to Edinburgh. Until fairly recent times the ancient route to Edinburgh travelled right up Annandale to the Beef Tub before climbing steeply to Annanhead. The present road ascends northward on a ridge parallel to Annandale but to the west of it which makes for a much easier ascent. From Moffat the A708 heads north east along the valley of Moffat Water (Moffatdale) on its way to Selkirk. 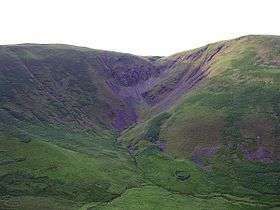 Moffatdale separates the Moffat hills (to the north) from the Ettrick hills to the south. There are three National Scenic Areas within this region. 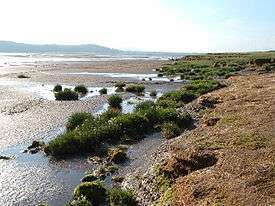 Nith Estuary - This area follows the River Nith southward from just south of Dumfries into the Solway Firth. Dumfries itself has a rich history going back over 800 years as a Royal Burgh (1186) and is particularly remembered as the place where Robert the Bruce murdered the Red Comyn in 1306 before being crowned King of Scotland - and where Robert Burns spent his last years. His mausoleum is in St Michael's graveyard. Going down the east bank there is the village of Glencaple, Caerlaverock Castle, Caerlaverock Wild Fowl Trust, an ancient Roman fort on Ward Law Hill and nearby in Ruthwell is the Ruthwell Cross and the Brow Well where Robert Burns "took the waters" and bathed in the Solway just before his death. On the west bank, there are several walks and cycle routes in Mabie Forest, Kirkconnell Flow for the naturalist, the National Museum of Costume just outside New Abbey and Sweetheart Abbey within the village. Criffel (569 metres) offers the hill walker a reasonably modest walk with excellent views across the Solway to the Lake District. The house of John Paul Jones founder of the American Navy is also open to visitors near Kirkbean. East Stewartry - This takes in the coast line from Balcary Point eastward across Auchencairn Bay and the Rough Firth past Sandyhills to Mersehead. There are several attractive coastal villages within this area - Auchencairn, Kippford, Colvend, Rockcliffe, and Portling. There is also a unigue round tower at Orchardton and the islands of Hestan Isle and Rough Island can be reached at low tide outside the breeding season for birds. Mersehead is an excellent wildfowl reserve. The area is well provided with coastal paths. Fleet Valley - This area takes in Fleet Bay with its popular holiday destinations of Auchenlarie, Mossyard Bay, Cardoness, Sandgreen and Carrick Shore. The area also includes the town of Gatehouse of Fleet and the historic villages of Anworth and Girthon - there is a castle at Cardoness in the care of Historic Scotland. 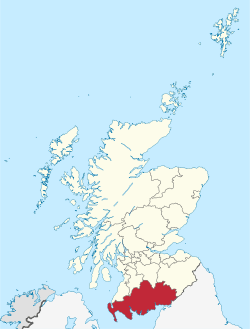 The region was created in 1975, by merging the counties of Wigtownshire, Kirkcudbrightshire and Dumfriesshire as a two-tier region with the districts of Wigtownshire, Stewartry, Nithsdale and Annandale and Eskdale within it. After 1996 the unitary authority became known as Dumfries and Galloway Council still with Wigtownshire, Stewartry, Nithsdale, Annandale and Esdale within it. County councils as administrative authorities were only created in 1889, little more than 100 years ago. The present-day, "Dumfries and Galloway Council Area" exist for administrative purposes. The historic counties of Britain, at least most of them, have existed for around 1,000 years or more and are often logical geographical entities in themselves. In Scotland they originated as Sheriffdoms consisting of a group of parishes over which the sheriff had jurisdiction, replacing native "Celtic" forms of government with Norman feudal structures. Transport in the region is operated by bus companies Huston's, McEwan's, Stagecoach Western and McCall's coaches, and train operators Abellio ScotRail, TransPennine Express and Virgin Trains. The region has 7 working railway stations. All are on the Glasgow South Western Line, except Lockerbie which is on the West Coast Main Line. 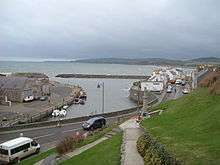 Dumfries and Galloway is home to two ports which have services to Northern Ireland, both are in the West of the region. Stena Line and P&O Irish Sea both have a port in the village of Cairnryan. 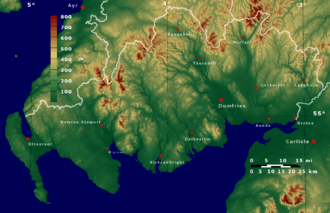 The region also has no commercial airports; the nearest are Glasgow Prestwick Airport and Carlisle Lake District Airport. The region does host a number of private airfields. The town of Lockerbie was the scene of the Pan Am Flight 103 terrorist attack on December 21, 1988. The mainline from Dumfries railway station via Newton Stewart to Stranraer Harbour railway station, was closed under the Beeching Axe. The line previously connected London Euston and the West Coast Main Line with the ferries to Larne Harbour railway station and the Port of Belfast. The Port Road to Stranraer being the last to go in June 1965 leaving only the original G&SWR main line open to serve the Stranraer. The Beeching Axe cutting the Castle Douglas and Dumfries Railway and Portpatrick and Wigtownshire Railway has resulted in adverse mileage to connect Stranraer with a longer line via Kilmarnock and Ayr. The Dumfries and Galloway Constabulary (Dissolved 2013 and now Police Scotland) is the police force for the region, and is the smallest in the United Kingdom. Dumfries and Galloway Fire and Rescue Service provide firefighting services across the region. The Coastguard, Lifeboats, Moffat mountain rescue and Galloway Mountain Rescue also offer emergency services across Dumfries and Galloway. Nith Inshore Rescue is based at Glencaple. This an independent lifeboat providing water rescue cover for the River Nith, surrounding rivers and inland water. Nith Inshore Rescue is a declared facility for HM Coastguard who are the control centre and overseeing authority responsible for call outs. NHS Dumfries and Galloway provide healthcare services across the region. The two main hospitals are the Dumfries and Galloway Royal Infirmary in Dumfries and Galloway Community Hospital in Stranraer. Dumfries & Galloway Council provides nursery, primary and secondary education across the region. For a list of nurseries and primary schools see this page. There are five of the world class 7Stanes mountain biking centres in Dumfries and Galloway at Dalbeattie, Mabie, Ae, Glentrool and Kirroughtree. The Sustrans Route 7 long distance cycle route also runs through the region. There is excellent hill walking in the Moffat Hills, Lowther Hills  the Carsphairn and Scaur Hills  and Galloway Hills. The Southern Upland Way coast to coast walk passes through Dumfries and Galloway and the 53 mile long Annandale Way  travels from the Solway Firth into the Moffat hills near the Devil's Beef Tub. There is also fresh water sailing on Castle Loch at Lochmaben and at various places on Loch Ken Loch Ken also offers waterskiing and wakeboarding. The Solway Firth coastline offers endless fishing, caravaning and camping, walking and sailing opportunities. Dumfries and Galloway is well known for its arts and cultural activities as well as its natural beauty. The major festivals including the region-wide Dumfries & Galloway Arts Festival and Spring Fling Open Studios. Other festivals include Big Burns Supper in Dumfries and the Wigtown Book Festival in Wigtown - Scotland's national book town. Main settlements in bold text. The council consists of 47 councillors elected for a four-year term from 13 wards. These wards were introduced for the 2007 election and each returns three or four members by the single transferable vote system of election. This system was introduced by the Local Governance (Scotland) Act 2004, as a means of ensuring a reasonably proportionately representative outcome. The council was controlled by a Conservative and Scottish National Party coalition until late 2013, when the resignation of seven Conservative councillors left the coalition without an outright majority. The council is currently run by a minority administration led by Scottish Labour and Craig Peacock an Independent. Yen Hongmei Jin - resigned from the SNP and is now an independent councillor. Dalveen Pass from Comb Head summit, near Thornhill, Dumfries and Galloway, Scotland. Caerlaverock National Nature Reserve. View across the Nith Estuary, close to the Solway Firth, Dumfries & Galloway. Machars Coastline looking south from Cruggleton Castle. The remains of Cruggleton Castle. The Machars, as viewed from Torrs Warren with Luce Bay standing between. ↑ "Rallying cry from frog stronghold". BBC News. 6 May 2008. ↑ Website for the 7Stanes Mountain Bike Trails. ↑ Website for the Southern Upland Way. ↑ "BBC NEWS – VOTE 2003 – Dumfries & Galloway". BBC News. ↑ Rinaldi, Giancarlo (9 February 2006). "Tax defeat leads to resignation". BBC News. ↑ "Drive ban councillor quits posts". BBC News. 20 May 2008. ↑ "Councillor lands drink-drive ban". BBC News. 29 August 2008. ↑ "Dumfries and Galloway Council deadlock meeting planned". BBC News. 28 September 2013. Retrieved 28 September 2013. Wikimedia Commons has media related to Dumfriesshire. Wikimedia Commons has media related to Kirkcudbrightshire. Wikimedia Commons has media related to Wigtownshire. 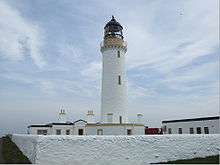 Walking site dedicated to the south west of Scotland with extensive information on hill and coastal walks.